Chris Lenhertz (right) has been reinstated as the Superintendent of Grand Canyon National Park. 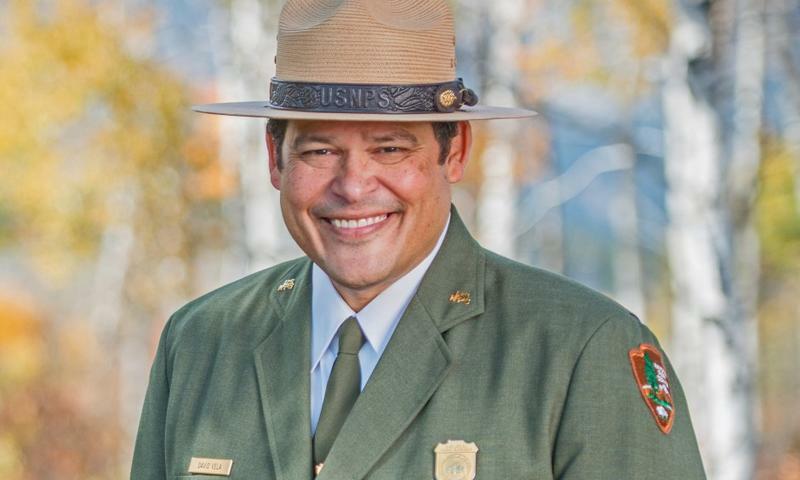 Superintendent Chris Lehnertz became the first woman to take charge of one of the nation’s most popular national parks in 2016. She arrived shortly after federal investigators found widespread evidence of sexual harassment in Grand Canyon’s River District. Lehnertz was tasked with changing the culture there, but had met resistance. 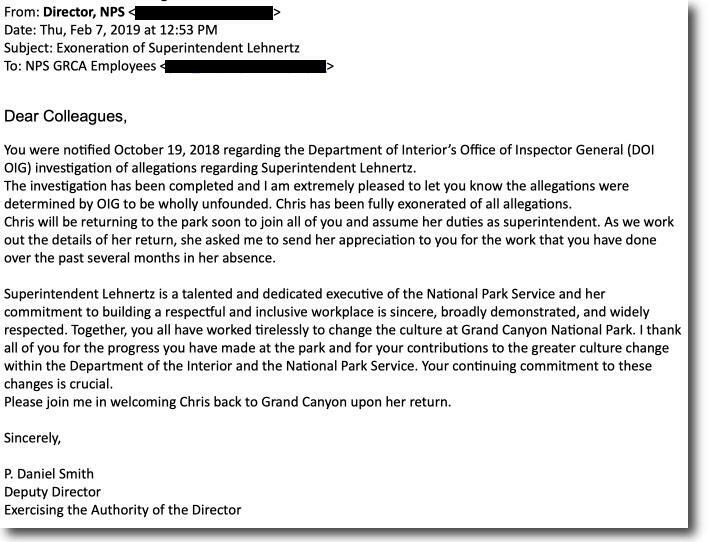 The acting director of National Park Service emailed Grand Canyon staff announcing that Chris Lenhertz would return to her post. Lehnertz was placed under investigation in October 2018. While Smith’s email doesn’t describe the reasons why, government officials familiar with the matter say the investigation was spurred by two management-level employees at Grand Canyon National Park. They complained that Lehnertz had created a hostile workplace. Martha Hahn, a friend of Lehnertz and a former employee at Grand Canyon National Park, was driving back from a ski trip when she heard the news. Questions still linger as to why Lehnertz was removed from her post during the investigation.